On 14 July 2018, ProPak China 2018 closed after three successful days. This year, ProPak China recorded its highest figures ever in both exhibition space and exhibitor number. A total of 680 exhibitors from 25 countries and regions showed their products and services and grew the show by 19%. Exhibition space also grew to 45,325m² - 13% more than in 2017. Together with Fi-Asia China and Starch Expo, ProPak China 2018 has continued its success with strong visitor growth. 25,144 visitors from 95 countries and regions came to the exhibition, up 13% compared to ProPak China 2017. As the premier processing and packaging event for China, ProPak China 2018 saw the presence of leading international companies from around the world, including Canada, Denmark, Egypt, France, Germany, India, Italy, Japan, Korea, Netherlands, Malaysia, Spain, UK and the USA. They showcased advanced equipment and technologies in packaging machinery, food processing, liquid processing, weighing and measuring equipment, packaging materials and containers, industrial robots, warehousing and logistic technologies, and quality-testing equipment, which provided abundant choices and solutions for the industry. A series of technical forums were held along with the exhibition. AIPIA Summit China 2018 invited authoritative experts and leading companies in packaging from Canada, Japan, Netherlands, UK and USA to share updated information on active packaging, printing electronics, intelligent packaging and anti-counterfeiting labels. The forum on the New Retail Age - the Intelligent Development of Fresh Food E-commerce and Cold Chain Logistics (sponsored by China National Food Industry Association), was a brainstorm on green cold chain sharing logistics service developed by e-commerce companies. In the symposium on FMCG New Packaging Materials & Technologies in China, an Elite Forum on the Trend of Future Packaging, senior executives of packaging development from Kraft Heinz and Starbucks discussed sustainable packaging and shared packaging. At the Seminar on Packaging Industry Embracing a New Era of Intelligent Manufacturing, Kuka, Step Electric and Triowin shared cases of applying robots in the packaging industry. At the Joint Conference on Shanghai Yangtze River Delta Beverages, representatives of Shanghai Beverage Association, Coca Cola and Suntory discussed beverage package innovation and labelling. Additionally, SJGLE Buyers Sourcing Event provided a one-to-one matchmaking service on site so as to precisely meet buyers’ demands for packaging. The organiser of ProPak China - UBM Sinoexpo Ltd. and China International Exhibition Ltd. signed an agreement with the organisers of FoodPack China – the China National Packaging and Food Machinery Corporation (CPFMC) and China Food and Packaging Machinery Industry Association (CFPMA). Running 19-21 June 2019, the two shows will be held concurrently in a new venue - National Exhibition Convention Center Shanghai (NECC) with several other sectors including food ingredients, starch, health ingredients and agriculture. “We will build up a super-sized show covering the whole supply chain from process to packaging of the food industries in Shanghai next June. The strong alliance of both ProPak China and FoodPack China will give us the leading position in the area of processing and packaging,” said Mr. Wang Mingliang, Founder and Director of UBM Sinoexpo Ltd. This strategic cooperation will help ProPak China expand its scale quickly and cement its position as the leading specialized event for the processing and packaging industries in China. Alongside the concurrent UBM flagship shows in health and food ingredients, nutrition and health products, starch and agriculture industries, the total floor space of the joint exhibition in 2019 will reach 180,000 m² and Chinese and overseas buyers are likely to grow substantially as a result. We look forward to your participation at ProPak China 2019, National Exhibition & Convention Center, Shanghai, 19-21 June 2019. 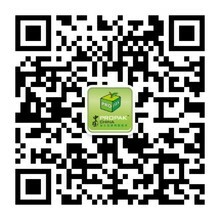 ProPak China is organised by UBM Sinoexpo—a division of UBM plc. UBM is the largest pure-play B2B Events organiser in the world. Our 3,750+ people, based in more than 20 countries, serve more than 50 different sectors. Our deep knowledge and passion for these sectors allow us to create valuable experiences which enable our customers to succeed. Please visit www.ubm.com for the latest news and information.